It is always exciting to see the Zap Glue flags and the Air Show Road street sign when approaching Paradise Field in Lakeland, Florida, for the annual 12 O’Clock High Warbirds & Classic’s RC air show, which was held October 19-21, 2017. You know you will be seeing your friends, making new ones, and seeing a wide selection of warbirds and classic aircraft. This is a relaxing air show, with no pressure, and pilots can fly to their hearts’ content. There were many monster airplanes and jets present such as Kenny Hurtado’s 168-inch. 40% L-4 Cub, Arnold Marcus’ 114-inch P-38, and James Prive’s 144-inch Super Piper Cub, that all fly true to scale. 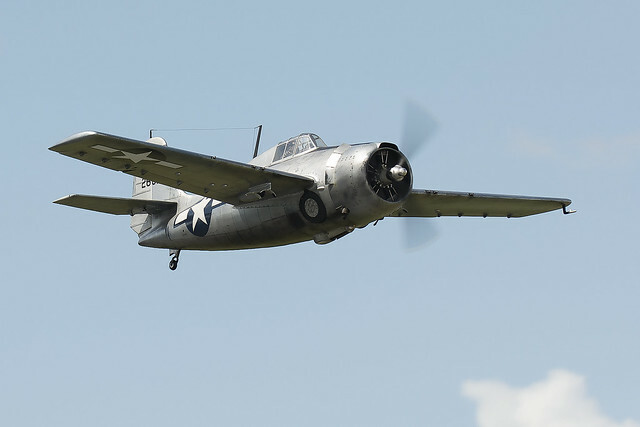 Fokker, L-4, P-47, F-16, T-33, and Cougar formations, as well as other individual airplanes, thrilled the fans at the 2017 12 O’Clock High for three days, with more than 600 flights. Watching the dogfighting was like taking a time-machine ride into the past. It provided real thrills. It is always interesting to see how many models that are built from Nick Ziroli Plans designs are present, and because Nick attended, it was even more rewarding. We counted roughly a dozen Nick Ziroli-designed models; however, there were many more on-site. Dana Thrasher had a chance to meet Nick and show him three of the models he had built from Nick’s designs. Dana’s Corsair was one of the first Ziroli Giant Scale designs from the 1970s. His Turbinator was designed as a 1950s-style sport jet. Nick still designs and flies, and his latest project is a Cessna 150. During World War II, German submarines came close to the Florida coast and do you know what the submarine operators disliked the most? They hated the little yellow Civil Air Patrol spotter Piper Cubs that searched for German submarines and radioed their positions to larger airplanes so that they could drop bombs. Local modeler Bill Gottorf offered a nice display that helped educate visitors about aircraft history, and how the Civil Air Patrol served our country during WW II. Many vendors were on-site, where you could see and purchase some of the latest model airplanes, parts, scale pilots, and radios. The food vendor did a great job of preparing a tasty selection of meals that everyone enjoyed. The Manhattan Project gatherings that took place after flying were one of the most entertaining and camaraderie-building parts of the 12 O’Clock High event. Plan to visit the gatherings at next year’s show and see old friends and make new ones. When the flying ended, everyone wished their friends safe travels until the next edition of the event. Congratulations to Frank Tiano and everyone involved for another exciting and memorable 12 O’Clock High. Do not miss an opportunity to attend one of Frank’s RC model airplane shows. For more information, visit www.franktiano.com.